Comsearch’s mission is to enable the most efficient and intelligent use of the wireless spectrum, a precious and limited resource. The thousands of customers we serve each year trust us to provide expert solutions in the design, engineering, and management of reliable wireless communications networks globally. Comsearch has packaged several decades of wireless engineering expertise into a suite of products that empower you to get the most out of your spectrum. 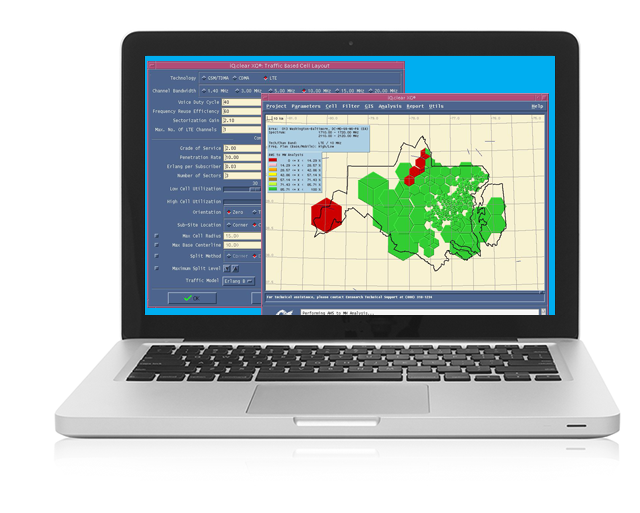 Comsearch is the industry leader for reliable and accurate management of spectrum resources. For decades we have provided intelligent spectrum management solutions needed to design, engineer, build, and manage communications networks. Comsearch’s Advanced Wireless Services (AWS) Microwave Relocation and Coordination Services cover all aspects of the spectrum sharing, relocation and coordination processes to meet the unique engineering and deployment requirements of AWS-3 licensees. Licensees in the AWS-3 band must conquer several challenges before launching systems in this shared spectrum environment. AWS-3 spectrum is shared with Federal Government systems in the 1.7 GHz band and commercial microwave systems in the 2.1 GHz band. The challenge of identifying and avoiding interference issues with these incumbents systems is vastly different between the two bands. Comsearch can help. We addressed similar spectrum sharing issues when the 1.9 GHz PCS band was auctioned, and again during clearing of the 2.1 GHz AWS-1 band. Comsearch provides comprehensive relocation solutions. We combine our specialized services, proprietary software (iQ·clearXG), highly accurate databases of incumbent microwave systems, and program management abilities to provide an end to end spectrum sharing and clearing solution. We employ skilled negotiators who will work on your behalf to ensure an equitable and cost-effective settlement is reached while meeting your deployment deadlines. Your account is pending activation. We will notify you once it’s activated and ready for use. Registration and use of this forum is free and is only available for Comsearch customers. Please register using your full name and company email address so that we can identify you as a valid user. Please note that information contained in this discussion forum is not encrypted. All users should register using a unique password that is used only for access to this forum. Registration and use of this forum is free and is only for licensed users of iQ.link and Comsearch’s online microwave training courses. Please register using your full name (preferably first and last name) and company email address so that we can identify you as a valid user.